But the major caveat here is that these are access rates, not subscription rates, meaning many of the multi service households are driven by password sharing that is rampant in the industry. Another important factor is that Amazon Prime itself isn’t a pure-play SVOD service, as many still subscribe to it for shipping plus the numerous other benefits Amazon has stuffed into the service over the last few years. LRG around that 28% of those with Netflix said their subscription is shared with others outside their household. For Hulu it was 22% and for Amazon Prime it was 10%. 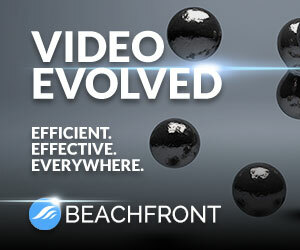 To what extent SVOD households will actually subscribe to more than 1 service is a pressing issue for industry executives given the explosion of SVOD services. 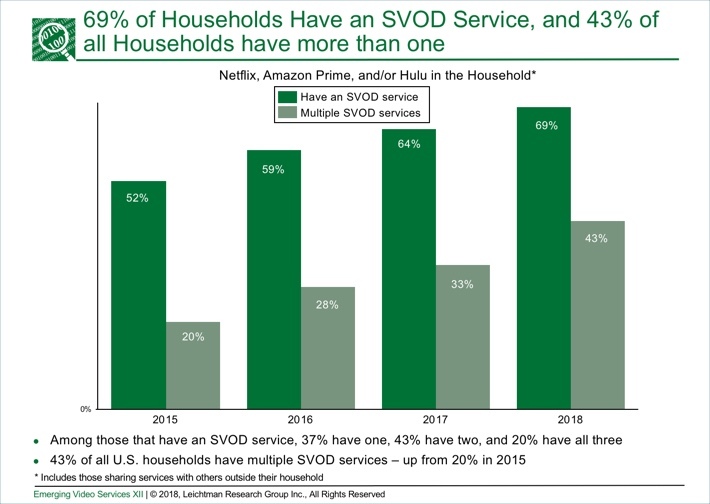 For those outside the big 3 of Netflix, Amazon and Hulu to have a chance of success, growing multi service households is imperative. LRG also found that daily SVOD usage was pretty much flat vs. last year, with 30% of adults streaming daily in ’18 vs. 29% in ’17. A big bump up had occurred following ’15 when it was just 16%. Daily viewing continues to skew to younger audiences, with 52% of 18-34 year-olds watching daily vs. 31% of 35-54 year-olds and 11% of 55+ year-olds.